Finally an affordable noise canceling headphone for travelers. 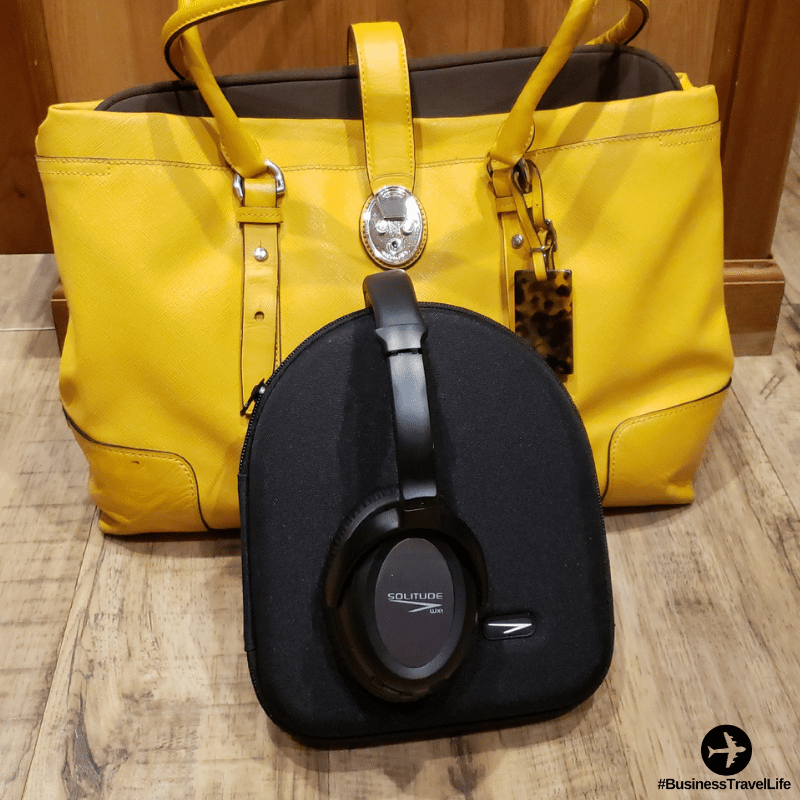 A few weeks ago, I received the Solitude WX1 Wireless Active Noise Cancelling Headphones to review. 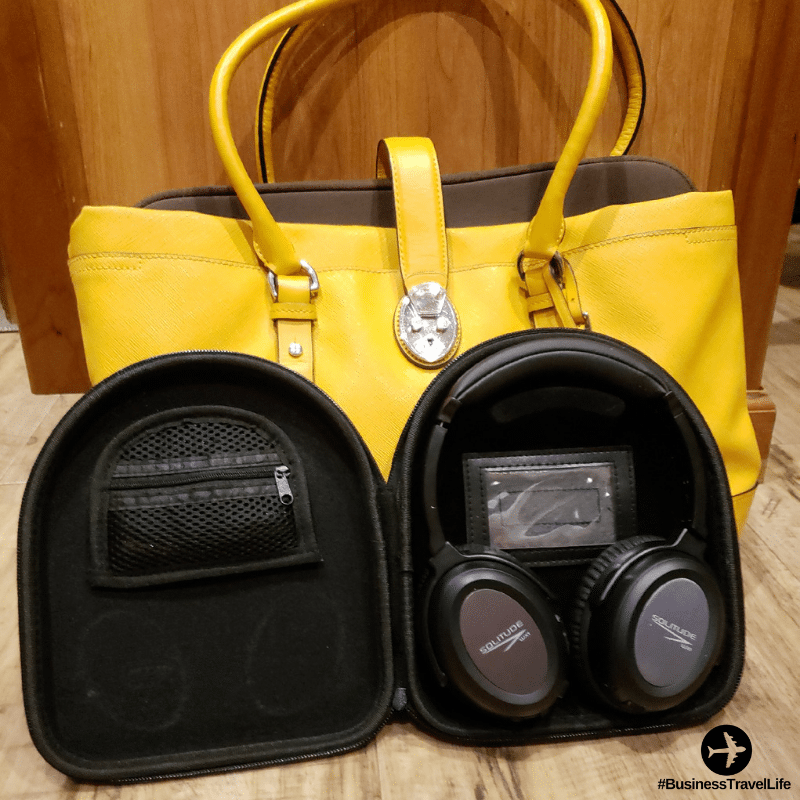 After thoroughly testing them, I am ready to share my thoughts (and giveaway a pair!!). 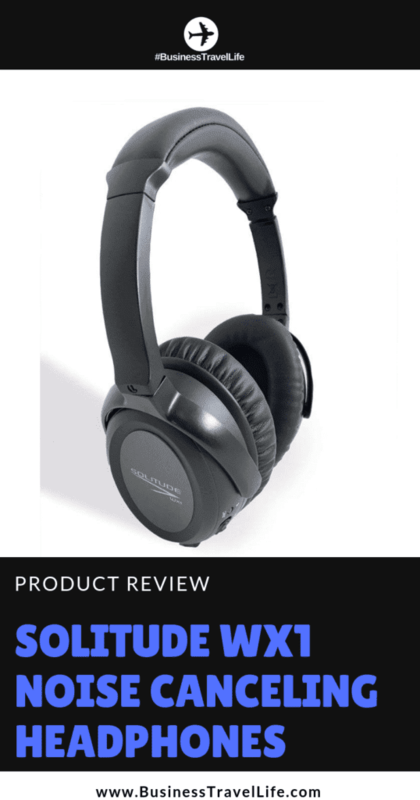 Before I dive into my Solitude headphones review, I want to point out that Solitude Headphones were created by a pilot. He spent many years in commercial jetliners and developed the line of noise cancelling headphones as a solution to the exhaustion caused by the sound of the airplane’s engines. In 2015, the dual driver system was introduced. When the noise reduction system is active, both drivers work independently to activate the anti-phase signal. This means the person wearing the headphones has clearer audio with less distortion. The pilot sold his company to Positive Vibes Inc., a woman-owned company, based in Chicago, IL. Buying Solitude Headphones means you are supporting a small business and a woman-owned business! Upon receiving the Solitude WX1 Wireless Active Noise Cancelling Headphones, I was immediately impressed with the packaging. The headphones come in a slim, lightweight, lay-flat case. 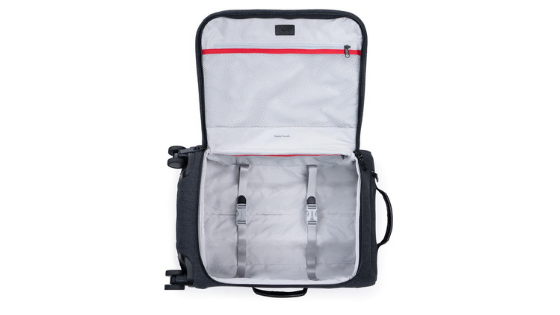 The inside of the case has a pocket for wire storage. The actual headphones are also very lightweight. My initial thought was that they were too flimsy, but after wearing them, I realized they are just really light. The top piece that rests on your head is comfortably padded, as are the headphone’s ear pieces. Prior to testing, I charged the headphones and synced them via Bluetooth with my phone. Even though the Solitude WX1 Headphones are wireless, they do include a wire to connect them to your devices. I find this useful as I am terrible about keeping track of battery usage on my devices. The quality of the sound in the headphones surprised me. The sound is very clear and I did not have to crank up the volume to hear over background noise. 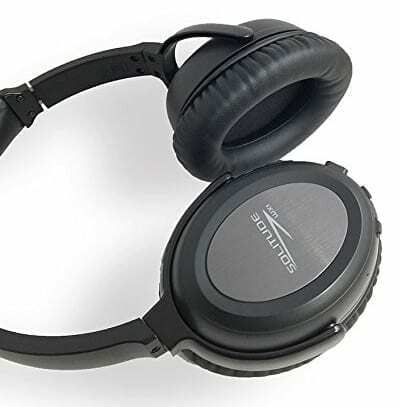 The headphone’s Active Noise Cancelling is designed to reduce ambient noise, such as an airplane droning engine, distracting humming sounds or constant background noise. Reduce is the keyword, do not expect these headphone to mute background noise completely. Not only are these headphones a perfect travel companion, they are also great workout headphones. The headphones did not slip or fall while I was wearing them and I could not hear the music the gym was playing when I had them on with my own music. The best thing about Solitude WX1 Headphones is the amazing sound! The sound quality is comparable to brands at much higher price points. In summary, I really like the Solitude WX1 Headphones. The quality of sound is outstanding,. 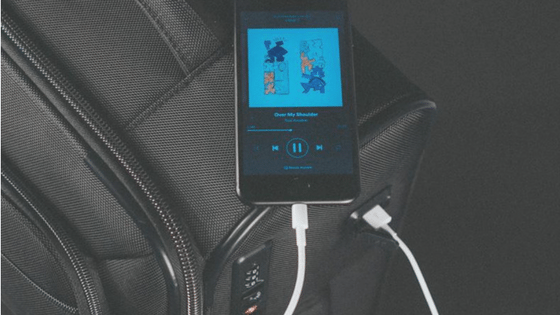 The headphones and case are lightweight, which is a huge benefit for travelers. And, you can’t beat the price tag, just under $100 on Amazon. We are giving away a pair of Solitude WX1 Noise Canceling Headphones to one lucky reader!